To you our valued clients, community and industry leaders, we want to pass on our appreciation for your support and business. Your positive comments and the recognition that you provided All-Craft with, resulted in our company being recognized with a very prestigious award. 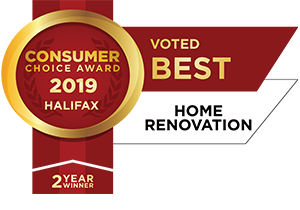 Each year across Canada, Consumer Choice Award gathers opinions, perceptions and expectations through the responses of thousands of consumers and businesses. All winners go through a rigorous selection process conducted by a third party research firm to ensure only the most outstanding service providers are the winners within their respective industry. 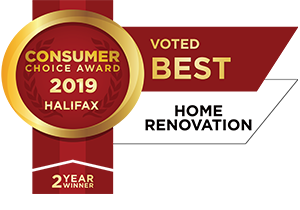 Winning the “2019 Consumer Choice Award” for Home Renovation in Halifax, means a lot to the All-Craft Family. We work as a team, always supporting each other and we are dedicated to our community, industry and clients, past and future. All-Craft would like to take this time to thank everyone not only for your business but for your positive comments, outstanding references and kind words of support. Accessibility renovations prepare you for life changing events and longevity in your home. No one can escape the effects of aging, but accessibility modifications are not just to prepare you for aging, they are to prepare your home for life changing factors. That have suffered a traumatic changes: People that experience a life changing traumatic change who need modifications to allow them to live in their own home. 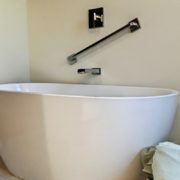 Grab Bars and Rails: Say “good-bye” to industrial looking grab bars and “hello” to stylish and functional grab bars that can coordinate with any bathroom decor. Lever-style handles: When picking out your levers, whether it is for your faucets, doors or kitchen cabinets you should always select a lever-style handle. Adjustable Shower Heads: When installing new shower heads, pick an adjustable slider arm with your shower head. This accommodates a person who needs to sit while in the shower or needs assistance while showering. Remote Controls: You can now have a smart home. There are home systems for lighting, window coverings, heating systems and more which can be controlled by a click of a button. Comfort-Height Toilets: The best toilet for accessibility is one with a height of 16-17 inches from floor. This height assists in both somebody helping a person after use or simply making it easier to get up after use. Shower Bench: A bench is a great feature in a shower. This allows anyone with standing restrictions to sit and relax in the shower. Bathrooms and Kitchens are two main rooms to think about adapting accessibility features into the design. Don’t make the mistake of thinking “I’m too young” or “I don’t have any health concerns”, prepare for the future. When hiring a professional renovator you should look for a company that has specialized staff in this type of design. Hire one that is a Certified Aging in Place Specialist. Hiring a contractor can be overwhelming, but with the right questions you can find the right renovator for your job. When starting to think about your renovation project, hiring a qualified contractor should be on the top of the list for priorities. The key question people are always asking is “how do you find a good-qualified contractor?” Here are a few tips when hiring a contractor. Are they insured and have WCB? Do they work with permits and follow code? How are potential work injuries handled? Confirm they have the proper insurance so that you are not held liable. Do they have a website? Are they on social media? Do they have testimonials from past clients? All-Craft has a passion for renovations, interior and exterior. With specialized teams we have experience in renovations from custom en-suites to full home additions. 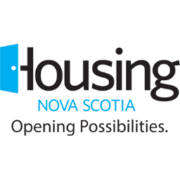 We are proud to say we are a multiple award winning renovator including the prestige award of Renovator of the Year 2017 by CHBA-NS and Consumer Choice Award for Home Renovations! Click here for information on Renomark and your personal Reno Guide. Renovate with ease with a contract, Get It In Writing! When making that investment in your home to renovate you need to protect yourself by getting your renovator to put it in writing! Many individuals end up being a ‘reno-victim’ because they hire a ‘cash-only’ contractor. These type of contractors keep it cheap for the homeowner. But without a contract homeowners find themselves paying greatly for the mistake of hiring this type of renovator, commonly known as an “underground” contractor. Hiring a renovator that is a member of your local Canadian Home Builders’ Association (CHBA-NS) can help alleviate some of the pressure you feel when choosing a Professional Renovator. The Canadian Home Builders’ Association (CHBA) launched the campaign “Get It In Writing” to help inform homeowners of how to avoid risks when hiring a renovator. You should never take chances when hiring a renovator, always get it in writing. Your contract should have 5 main components. Description of the project– A detailed description of your project, including materials and products. Your contract should also have your plans that you signed off on and you received a copy of. Payment Schedule– A payment schedule should be structured and outlined in your contract. This helps alleviate confusion about payments and amounts. Approximate Project Dates– In your contract you should see an approximate start date. A reputable renovator works closely with their suppliers and know approximately order timelines. After you have approved your design and material selections, your material can be ordered and a timeline set. Weather elements can affect timelines, so always keep that in mind. Change Order Information and Process- With any renovation project you can always run into changes once the project commences, from change in materials to opening a wall and finding asbestos. Your Project Manager should always sit you down and go over cost and document a change order. In your contract you should see a policy for change orders. Signatures– This is a must for both parties involved in a contract. You should always see the signature of the renovator on your contract as well as yours. This is what will protect you, as well as the contractor. Binding the contract and keeping everyone involved accountable. If you are planning a renovation project, always get a contract. A contract protects you from being a ‘reno-victim’. DID YOU KNOW: That if you hire a contractor to renovate your home that does not have WCB or Insurance, that you will be responsible for anyone injured on your site or any damage to your property or others. 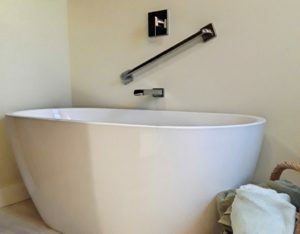 Fixture or Furniture, what are freestanding tubs? A freestanding tub has become center stage in bathroom renovations, one of the top bathroom trends in Canada. 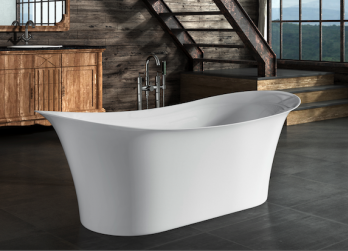 You can hear words like elegant, curvy and spa-like when describing a freestanding tub. The bathroom has become a place we value, the place where we take the time to relax and recharge. The freestanding tub has replaced the Jacuzzi tub and sunken tub and has become the star piece of furniture in the bathroom. Freestanding tubs are more like a new piece of artwork in your bathroom and not just a bathroom fixture. They come in a variety of aesthetic styles, from modern to vintage, not just your basic square-tub look. Tubs also come in a wide range of materials and finishes, such as acrylic, fiberglass and cast iron. Feature accents like old-fashioned claw feet or modern shapes are used to add the finishing look to the tub. 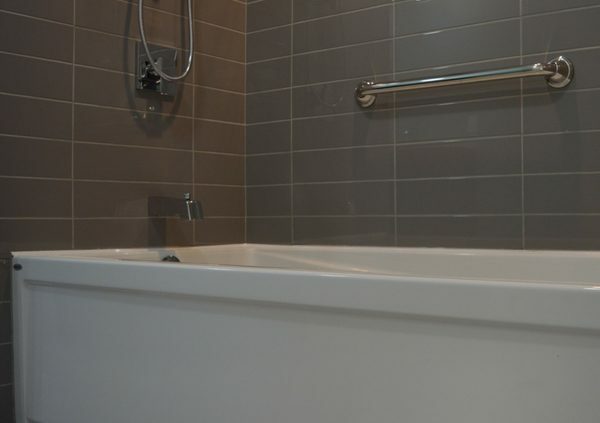 When choosing your tub, pick a material that you are capable of maintaining and cleaning. Freestanding tubs give you flexibility in placement because of their all-sided finish. They can be cornered or even placed in the center of the room, making them the focal point of the bathroom. They are not limited by the need to fit between walls, allowing you to be more creative with the look and shape of your bathroom design. Weight-Freestanding tubs can be very heavy often requiring a reinforced floor. One option is to buy fiberglass, but these tubs can be very expensive. 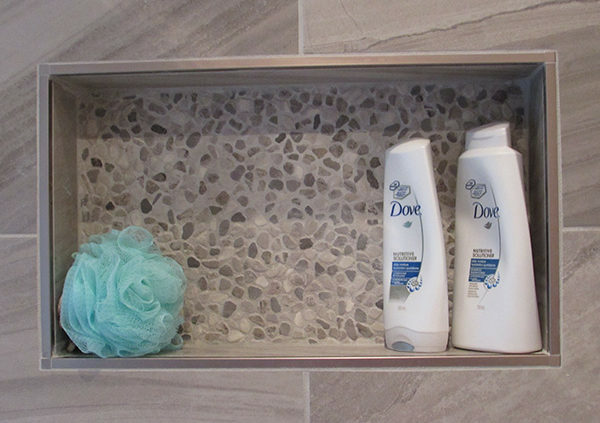 Storage-Because freestanding tubs have no ledge, there is no place to put your shampoo or soap. As well, there is not always the room to build custom shelving around a freestanding tub to hide your towels or store toiletries. An option to overcome storage stress, is to accessorize your space with a bathtub tray or little stylish rolling cart, there is a variety of stylish options. The key is to be relaxed in and out of the tub. 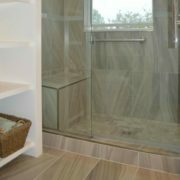 Showerless-It is possible to mount a shower to a freestanding tub, but it doesn’t look aesthetically pleasing and requires a wrap around curtain. You can get tubs with a hand-held unit, allowing you to rinse off. Usually if you have space, you can add a stand-up shower to your design. If you are looking for a unique look, you can have a customized shower designed to compliment your freestanding tub. If you have the space for a freestanding tub and you love the look of it, you will find a way to overlook the few disadvantages to this new bathroom trend, it is time to spoil yourself with elegance! What Is A Custom Shower? Custom means customizing, so building to your individual specifications, or in design terms, designing to your wants and desires. 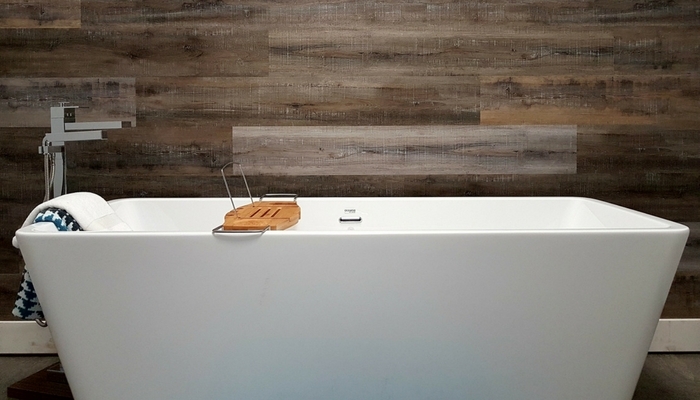 Custom showers are the trend of 2016 in home renovations. Homeowners are craving that spa-like atmosphere when coming home from a long day at work, or even just a place to relax away from every day life. When day dreaming about a custom shower, you need to think about what you want from your shower. Men and women can differ on this vision. On average, the man of the house is looking for a place to get in, get out, but lets face it, as soon as he gets a taste of a custom bench with a rainhead shower drenching his body while he sits and relaxes, he will soon be envisioning the same custom shower that the woman of the castle is dreaming about, except she is thinking about the comfort of shaving her legs with a custom bench. So this vision that leaves you in a tranquil state of mind, it could include trending features like sleek faucets, silk tile, benches, custom niches, speaker systems and could even include a 5 therapy therapeutic care unit. The features are limitless when considering a new bathroom renovation. Design is key, starting with showerheads. Self-control is difficult to have when trying to design your showerhead component of your custom shower, and here is where that heartbreaking word comes out, budget. The combinations are endless, from multi-function showerheads to bodysprays and steam showers. At the end of the day, it all comes down to cost and budget. A custom shower can be just as luxurious and relaxing with two shower heads than one with a steam shower. For most of us day to day bathroom users, we don’t really know what is considered a trendy custom shower. If you are trying to get that tranquil feeling at the end of the day on an everyday budget, you can dream of a custom bench with a rainhead installed overhead, an adjustable handheld, custom niche, beautiful stylish tile with an accent border and a glass door with bold finishes, usually chrome or brushed nickel, matching your faucet selection. These main components will give you that ‘spa-like’ feeling. 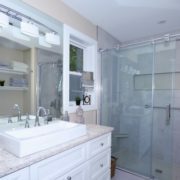 Because of the amazing bathroom material selection available, it is always good to hire a professional renovation company for design/build and material selection assistance to reinsure you are stress-free with your custom bathroom renovation. or if you would like to schedule a quote, please contact the professional at All-Craft Renovations. Renovations start with prioritizing, and prioritizing means doing your research, starting with how to find the right professional renovator. More than 3 out of 4 Canadian homeowners renovated their homes in 2014 or plan to renovate in 2015. Homeowners top priority is to enhance the design and function of their homes, and in doing so, the confusion and stress becomes overwhelming. The renovation process can present many questions and decisions that a homeowner can’t answer. Time for RESEARCH! Unfortunately, with homeowners watching reality renovation shows, they are left thinking a quality renovation can be complete in days and they think the renovation costs they see on television should be roughly what to expect for their renovation, but, T.V. shows do not include labour costs, leaving false misrepresentation of professional renovations and costs. So, are you wondering how to not be one of those “reno gone wrong”? The key is to research, use technology to find out information and use some old fashion reading to find out who is the right fit for your project. What – Your house is your castle, when you walk through your front door you take a deep breath and feel a sense of relaxation. When you look around, your always thinking about what to change, so first step is to make a definite decision on what you want to renovate. Who – Biggest question of your renovation. We all have heard horror stories, and seen them. One way of finding a renovator is through your local home building association and through BBB. The internet is another source to view renovators portfolios, through social media and their professional website. Always, and that means, always, hire a professional with the following, WCB, Insurance, Warranty’s, and that provide written contracts. When – When hiring a professional, it is the norm that a good renovator is booked months in advance. If you have a renovator that can start your project ASAP, think twice. Renovations are a process, starting from design to material selection. So never rush. 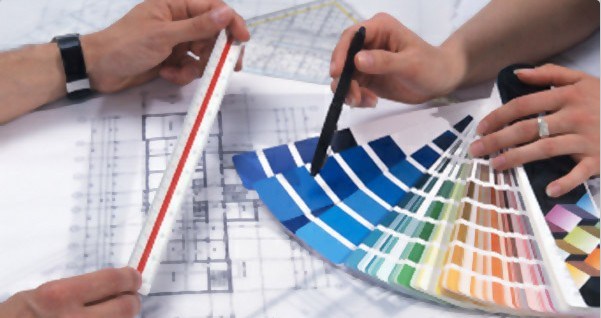 Pick a time frame that is feasible to your schedule for working with your professional on color and material selection. Why – Dated, Damage, Want, Needs….these are all reasons to renovate. Now, it is you that has to decide the reason to renovate. 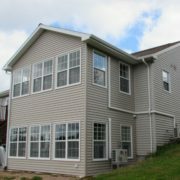 Whether it is for energy efficiency, a home addition because the family is growing or just for a trendy new living space, you need to decide before starting your journey. Usually budget plays a role, it helps determine a “need” from a “want”. It doesn’t have to be all doom and gloom. Nothing is more rewarding than watching your vision become reality, watching your space transform into a new, improved living space. It is just icing on the cake when you can do it with peace of mind that you have the top professional renovator working for you. If would like to receive a quote for a renovation project, please contact the professionals at All-Craft Renovations.